American Girl Place is a magical place. Little girls (moms and grandmas as well) go crazy. Everything and every detail is arranged and organized to enchant our eyes and soul. You feel like all those dolls have souls and personality. The (new) location at Rockefeller Plaza feels better because even though it's only two floors, it's more spread out and opens than the previous site (with five levels). 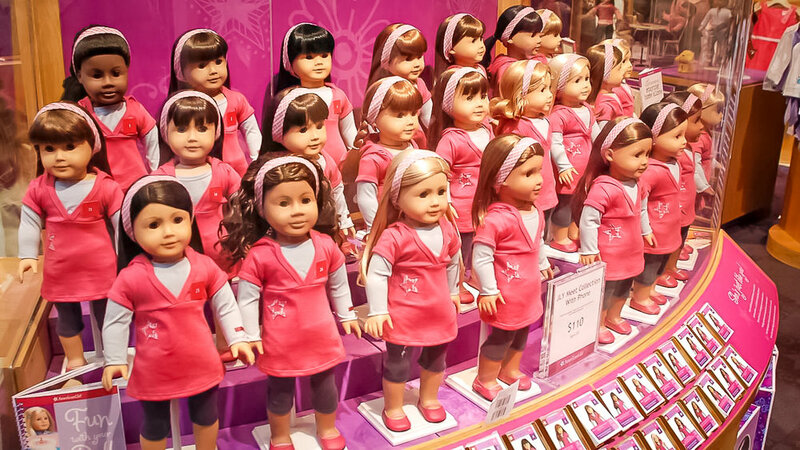 Get ready to have an adorable, fun time at the American Girl Place! Let’s go for a walk with rex. “This store is wonderful in and of itself with the incredible selection of dolls and doll stuff and the cafe and the salon and the grand displays. Add the incredible location just off the amazing Christmas displays of Rockefeller Center and you have it all. We always had a grand time at the old location and we love this new location.” That’s what James H. says on TripAdvisor.